Arthur Nazaryan witnessed the famine in Somalia that killed more than a quarter of a million people at the beginning of this decade. The freelance photojournalist first covered the crisis in 2011, and he wanted to continue his work in the region and explore the issues facing the country, which has been mired in civil war for decades. But by 2015, he said, it was almost impossible to get an assignment in the country’s capital of Mogadishu. The security situation made it too much of a liability, and it wasn’t exactly cheap for a freelancer to work in East Africa. So Nazaryan turned his focus from Mogadishu to Minneapolis. 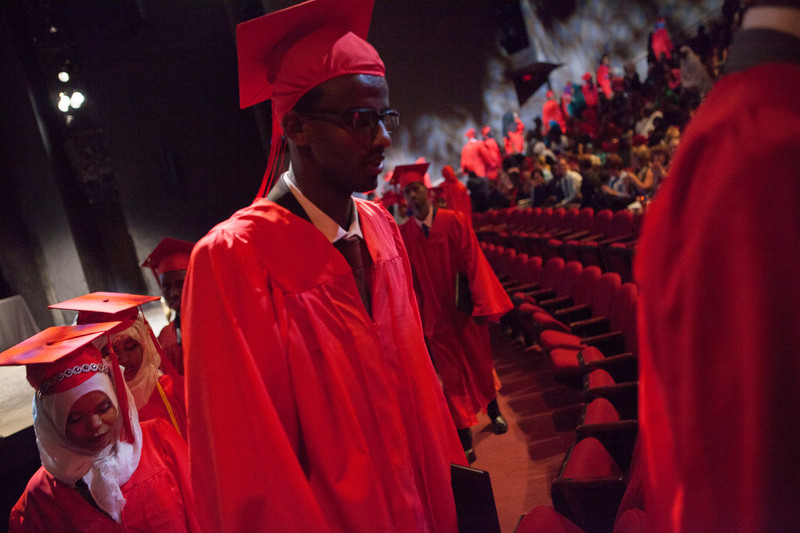 Graduating senior Mahamed Ahmed leaves the commencement ceremony for Lincoln International High School, a charter school in Minneapolis where the majority of students are Somali. 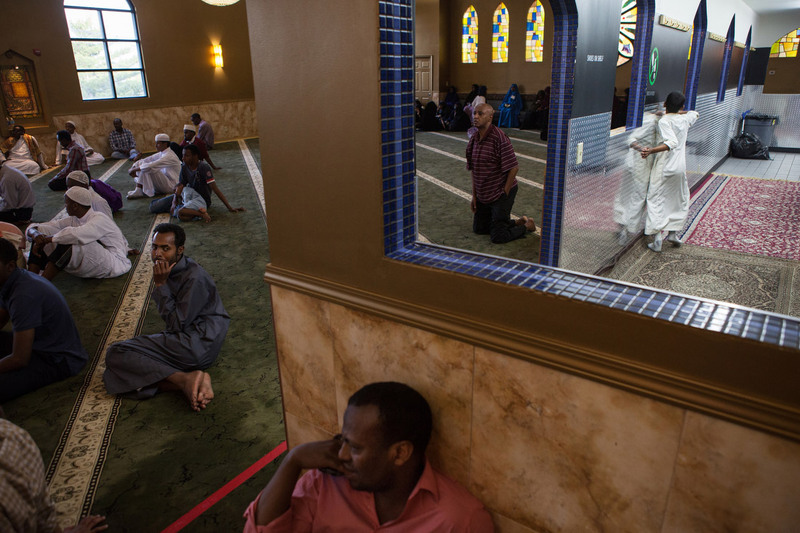 Around 150,000 Somalis, both refugees and nonrefugees, live in the United States, according to U.N. estimates from 2015. More Somalis live in Minnesota than any other state. 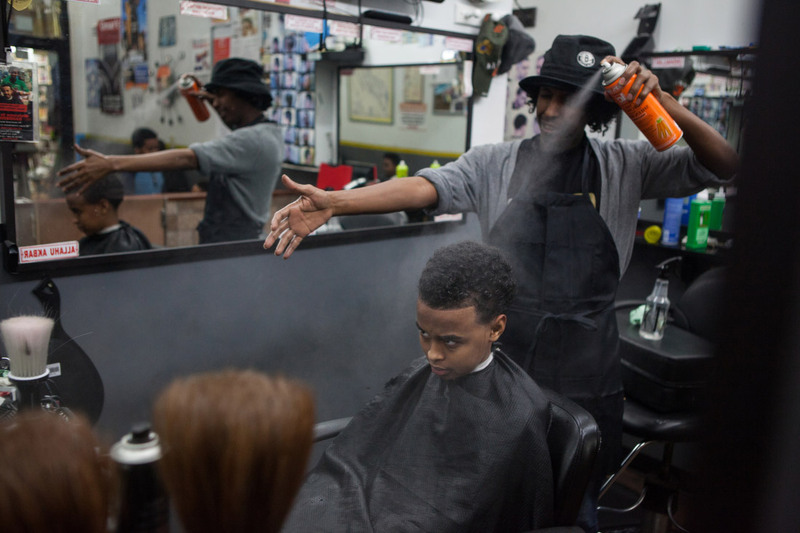 Jamaal Farah works as a barber at the Karmel Mall in Minneapolis. He is also a popular Somali comedian and social-media star, says photographer Arthur Nazaryan. Two girls take selfies at a local community center where bocce ball is played every Saturday. The second reason is resources. “Minnesota is a super liberal state. … They have that whole history of accepting refugees from I think initially Vietnam and then the Hmong and then the Bosnian crisis. So they have this whole infrastructure set up already, in terms of nonprofit agencies and NGOs, where their primary purpose is resettling refugees,” he said. 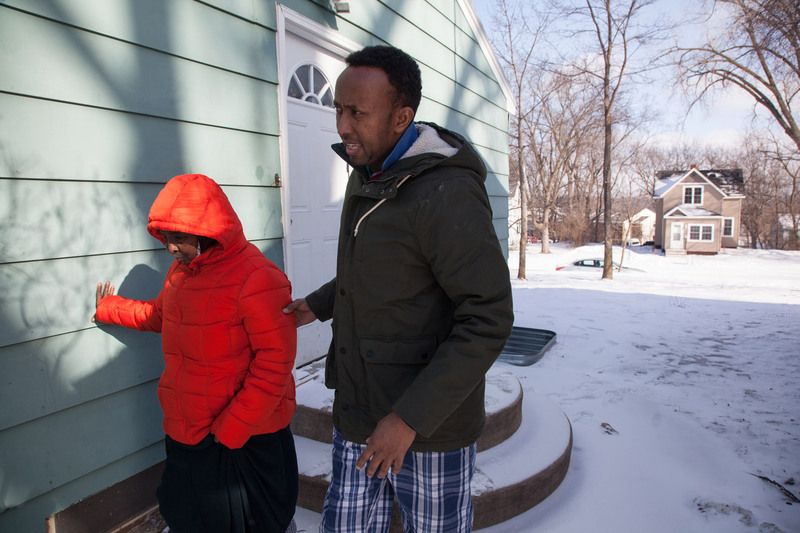 Basra Mohamud Hire's son-in-law, Abdikadir, helps her walk on ice outside her home in St. Cloud, Minnesota. She relocated to St. Cloud, a city about 60 miles outside Minneapolis, from a refugee camp in the desert of northeast Kenya. His photos show the day-to-day lives of young Somalis, and he hopes it provides "a bit of nuance in the way that people see the community. That it's not quite so simple as a couple of headlines might relate." 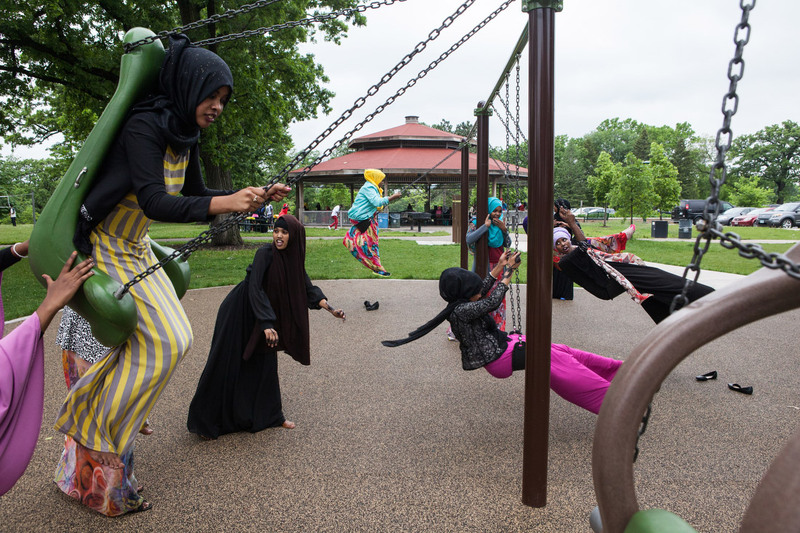 Girls from Lincoln International High School play on the swings at Minnehaha Falls Park during an end-of-the-year school picnic. 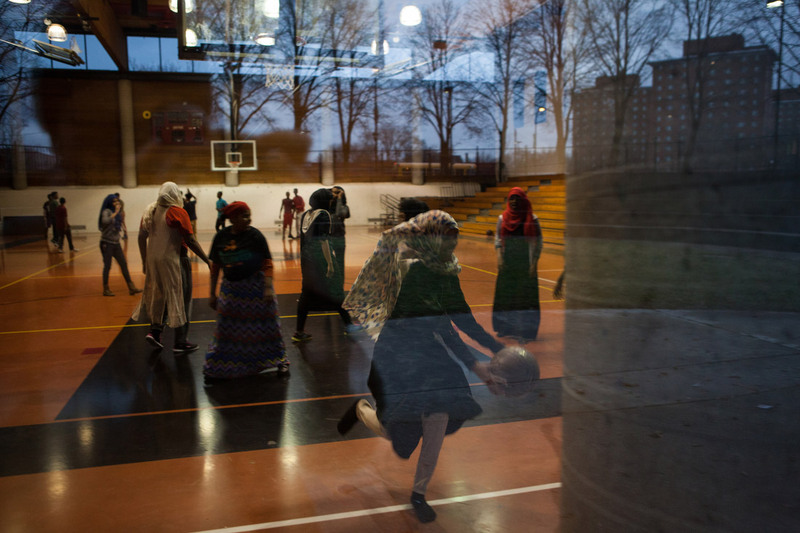 Two months before Nazaryan arrived in Minneapolis, six young Somalis from the area were arrested. Federal prosecutors said the men planned to sneak into Syria and join the ISIS terror group. Last September, a 22-year-old Somali was shot dead after stabbing 10 people at a mall in St. Cloud, a city about 60 miles away from Minneapolis. 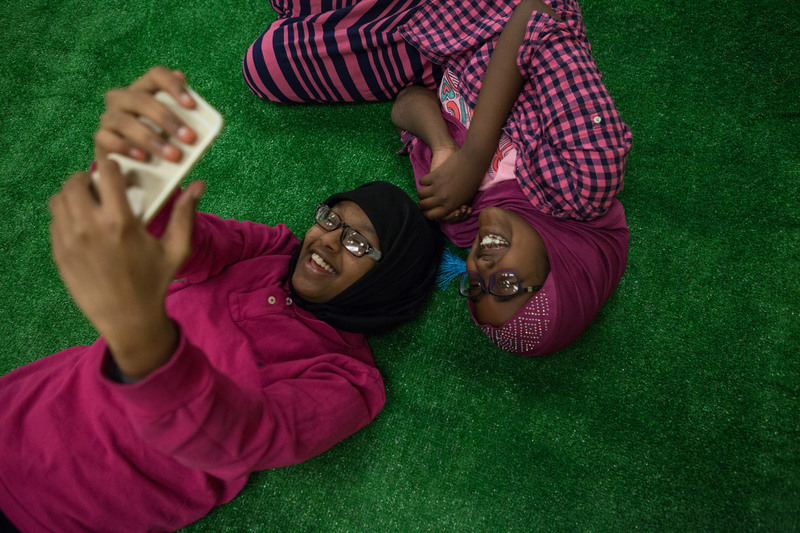 Karmel, one of two major Somali malls in Minneapolis, hosted a Quran reading competition for children in its upstairs mosque. 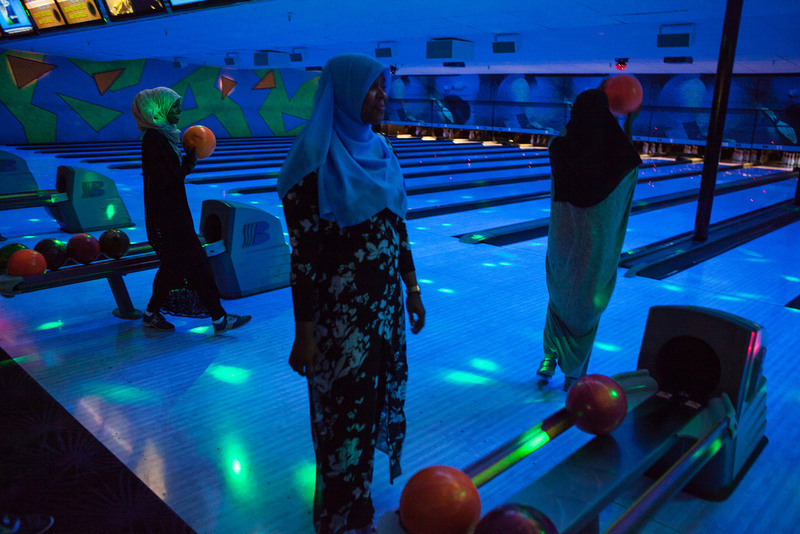 The event drew Somali families from all over the country. Somalia is also on President Trump’s executive order that would temporarily ban people from certain countries from entering the United States. Those seven Muslim-majority nations were initially identified as "countries of concern" under the Obama administration to address "the growing threat from foreign terrorist fighters." Saciido Shaie arrives home with her 13-year-old son after picking him up from school. 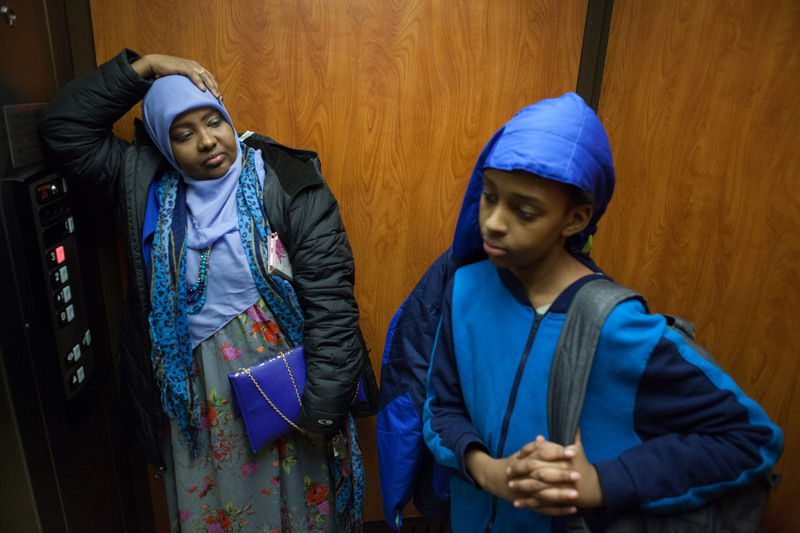 She worries that her son's sense of identity and belonging will be harmed by increasing anti-Muslim rhetoric and growing stigma about radicalization within the Somali community, Nazaryan said. At the same time, she worries that, as a working mother, it is impossible for her to keep track of what her son watches online -- especially since ISIS has made recruitment videos specifically targeting Minneapolis youth. The girls basketball team from Lincoln International High School practices at a nearby gym. He said the Somali people he met in Minneapolis are very conscious of how they are perceived by people outside the community, and they are concerned about being unfairly portrayed as terrorists. “I've had this conversation I think probably a few hundred times at this point because that's the first thing people assume when you have a camera,” Nazaryan said. 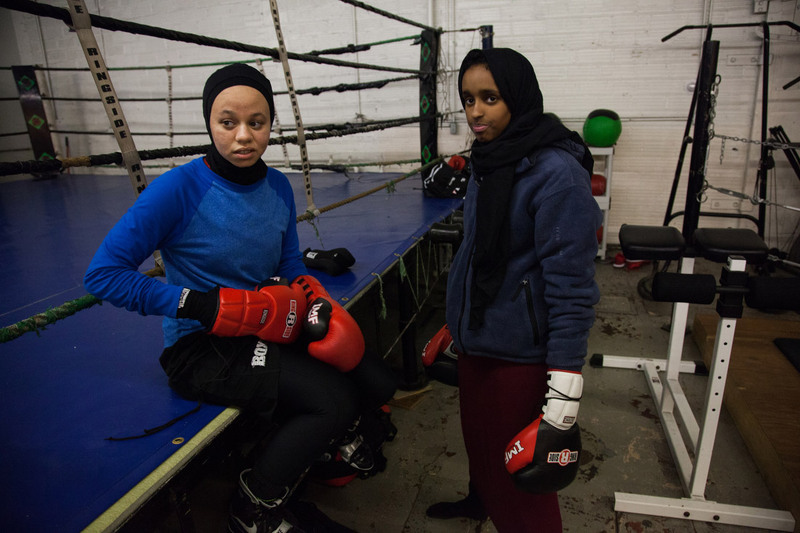 Amaiya Zafar, left, teaches her friend Amira how to box at a gym in Minneapolis. He acknowledged that most of the people he spent time with are more on the liberal side of the community and that there is a conservative side that doesn’t exactly go out bowling. 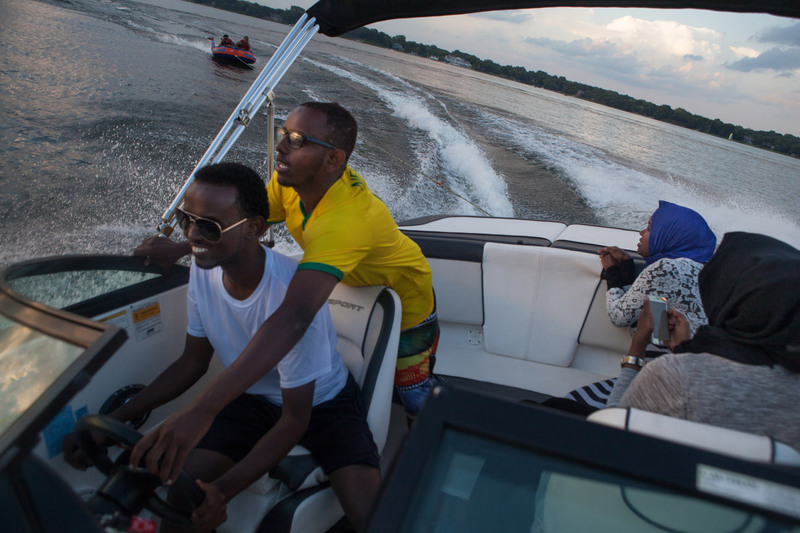 Abdikadir Hassan and some of his Somali friends from Ohio and Ontario enjoy a summer afternoon on White Bear Lake. The current political climate, including Trump’s executive order, has many of them worried, Nazaryan said. Fartun Mahamoud Abdi prays in the parking lot of a building where she will be opening a new day-care center catering to Somali children. Arthur Nazaryan is a photographer based in New York. Follow him on Facebook and Visura.